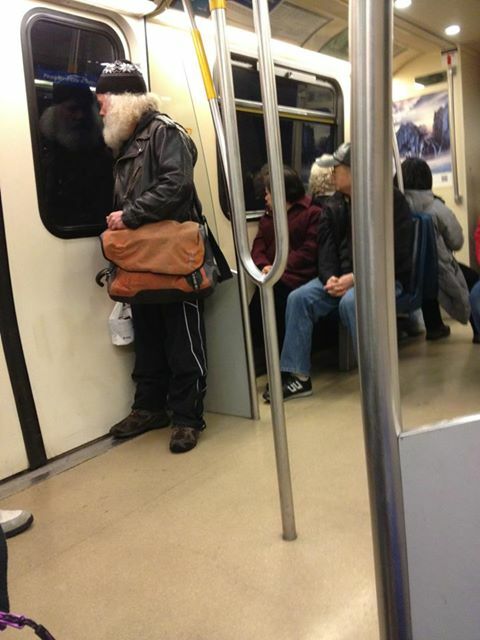 Santa was spotted on a SkyTrain in the Vancouver area tonight. The Man in Red was incognito, apparently watching to see if commuters were being naughty or nice. With just a few days before the big day, however, he appeared to be taking it easy, toting a plastic bag with a sixer in it, instead of his usual sack of toys.